Many women experience the occasional anovulatory cycle, due to illness or stress usually. A single anovulatory cycle is certainly nothing to worry about, but frequent cycles with no ovulation may indicate that you have an underlying hormonal imbalance or fertility issue. 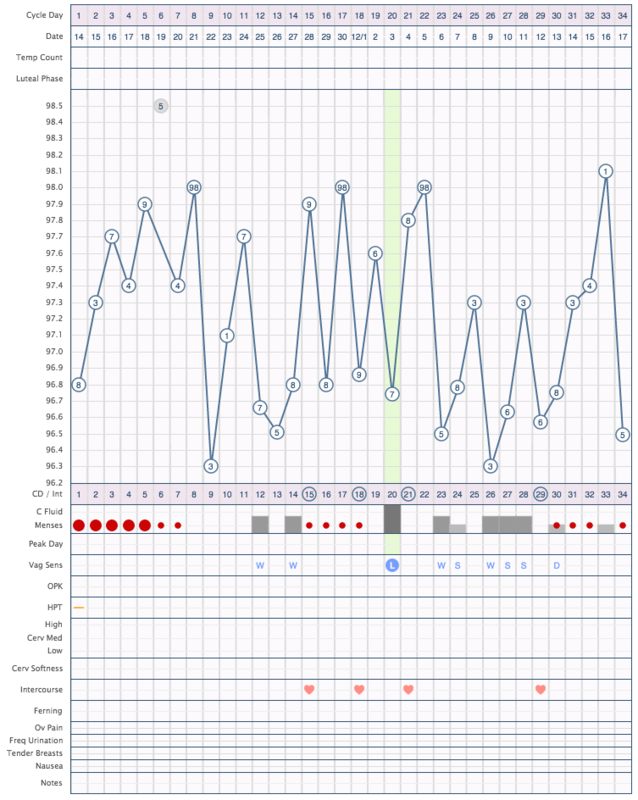 A fertility chart showing a cycle where ovulation did not occur will have temperatures that zig-zag up and down throughout the cycle in no apparent pattern. You might see egg-white cervical fluid and/or spotting on and off through the cycle, and it is often the case that an anovulatory cycle will run longer than expected.